Identity theft crimes are on the rise; do you have a privacy protection plan for your family? 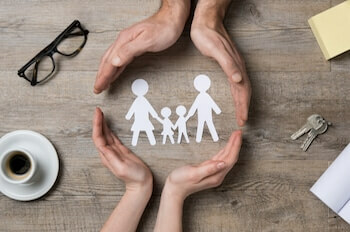 In this blog, we offer 10 tips for keeping your family safe. Update all your digital devices with the latest firewall, anti-virus, and anti-malware protection. Encrypt your home wireless network to prevent unauthorized access to your family’s personal information. Password protection only goes so far. Now, many email providers, applications and websites offer two-factor authentication for your account as an added layer of protection when logging in to shop, browse, and communicate online. Always use two-factor authentication when it’s available. One of the easiest ways for a thief to steal a family member’s identity is by sifting through your trash or recycling bin. Use a drive-up and drop-off shredding service to destroy your family’s unwanted personal documents. Your documents can be shredded in a matter of minutes while you watch, and be sure to ask for a Certificate of Destruction for your records. Lock up your family’s personal documents, even if your home has a state-of-the-art home security system. Use a fire-resistant locking container or safe to store social security cards, birth certificates, life insurance documents, etc., or store them in a bank safe deposit box. Cyber attackers use ransomware to steal your data and hold it ransom until you pay cash to get it back. Back up your personal and financial data frequently and store it on a portable hard drive or cloud storage service. A thief can steal credit card statements, bills, and medical correspondence out of your mailbox while you’re away. Invest in a locked mailbox, empty it often, and never leave sensitive correspondence inside for the mail carrier to pick up. Instead, mail them at your nearest U.S. Postal Service location. It’s tempting to post family events and vacations on social media, but it may lead to identity theft. Identity thieves scour Facebook Instagram, and Twitter feeds, looking for carelessly-posted information and even opportunities to rob your home while you’re away. Don’t post birth dates, vacation details, or other personal and financial information. A recent study by Carnegie Mellon University found children are 51 times more likely to be victims of identity theft than adults. Contact each of the three credit bureaus—Equifax, Experian and TransUnion—and freeze your child’s credit to prevent it from being misused. Yes, car burglars steal car stereos, but they also steal insurance cards, vehicle registrations, wallets, purses, phones, tablets, and laptops from unattended vehicles. Never leave these items in your vehicle, especially in plain view. Never let your guard down. Use these tips and your common sense to keep your family safe. 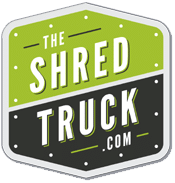 The Shred Truck provides NAID AAA Certified mobile, on-site paper shredding and hard drive destruction services in and around St. Louis, Missouri. For more information, please call us at 314-729-9200 or complete the form on this page.